As a part of the project for INTerpretation and ACCompaniment (INTACC), certain francophone communities in Canada wish the evaluate the current situation vis-à-vis the interpretation and accompaniment for health services. According to international studies, it is clear that linguistic barriers are a huge risk in regards to the accessibility of health care in a safe and quality manner. For this purpose, interpretative and navigational services in French in the health care system are viewed as a solution for improving access to health care services in French, the optimal solution will always be the availability of and access to bilingual health care professionals. Le Réseau santé en français Terre-Neuve-et-Labrador (RSFTNL) is leading a project currently that aims for an improved access to interpretive and navigational health care services in French for francophone people in Newfoundland and Labrador. This project is made possible thanks to the financial contribution of Health Canada as well as the Société Santé in French. The testimonies of the health care professionals, as well as the francophone people in the province, that we have presented in this project, in regards to health care services in French in Newfoundland and Labrador, are also available on video. 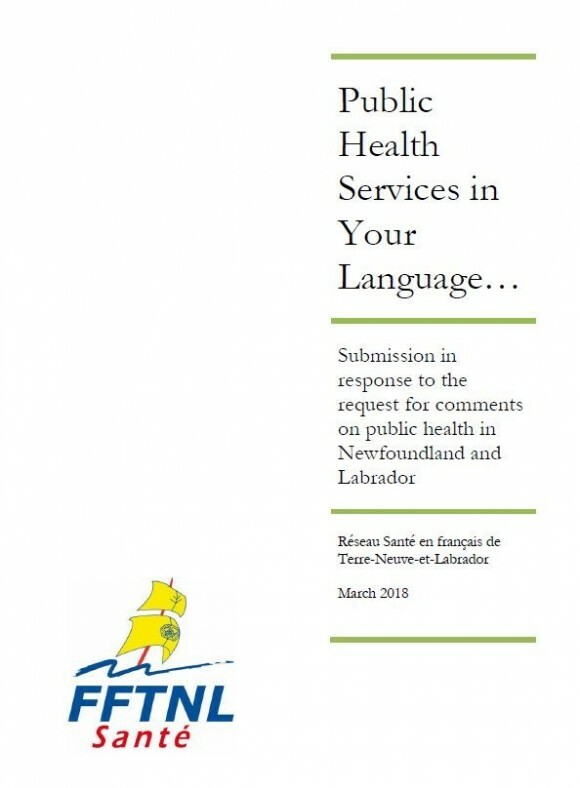 The Government of Newfoundland and Labrador collected comments in March 2018 on the impact of public health on daily life. It is in this context that the Réseau santé en français de Terre-Neuve-et-Labrador formulated a brief to raise awareness of the importance of the health needs of Francophone and Acadian minority communities.